Dr. Ann Connor has worked in Catholic education since 1984 as a teacher (including two years at St. Paul School, 1987-1989), as a principal at two Catholic primary schools and interim principal for one year at a Catholic high school. She served as the Associate Superintendent of Catholic Schools for the Archdiocese of Kansas City in Kansas from 2011 to 2018. She earned a BS in Elementary Education from Emporia State University, an MASL in Building Leadership from Benedictine College, and an Ed.D. in Education Leadership from St. Louis University. 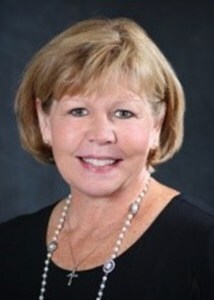 Dr. Connor began serving St. Paul School as Principal in July 2018. She brings to St. Paul School a variety of Catholic school leadership experiences: Spiritual Leadership, Instructional Leadership, Curriculum Development, Community Building, Budget Development and Administration, Teacher Supervision and Evaluation, and Strategic Planning.